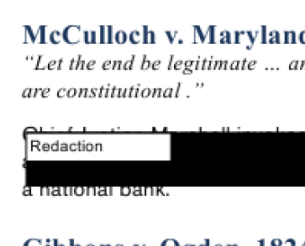 Once you realize that there might be a problem that requires redactions, perhaps the first step would be to run searches for names or terms that create the need for removal of information. i-View offers full Boolean word searching with hit lists and in-document word highlighting. Enter the word or words, run the search and, as needed, you can highlight the appropriate area and then select a Redaction Subject Matter. In this case we searched our sample documents for the word Privilege. Once we have located those documents we draw an annotation over the text we wish to redact. Then you tag the annotation with a redaction subject matter. Now it is easy to run a search on all documents tagged with a redaction subject matter so the redactions can be reviewed. Once the redactions are approved, you click on the Report- Export feature and you have the options of implementing the redactions permanently for production. 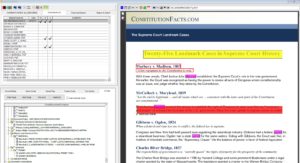 i-View offers one very powerful feature to assist with the redaction process: i-Code. i-Code is a function where for the current you are reviewing, the system will search and highlight all witness last names as well as dates and keywords. The “auto-diagramming” permits you to understand the importance of even long documents instantly and, when redacting, to locate suspect passages.